Thank you for praying for our time in Colorado! We are enjoying friends that we haven’t seen for a long time, and our calendars are full of opportunities to serve our fellow Cru staff. 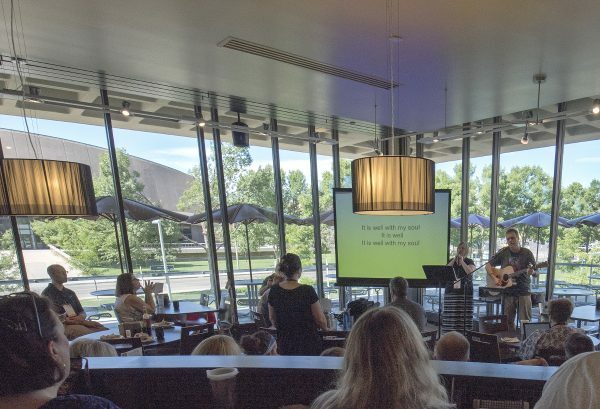 Liesl has been coordinating the worship for our staff meetings, and has received very encouraging feedback. 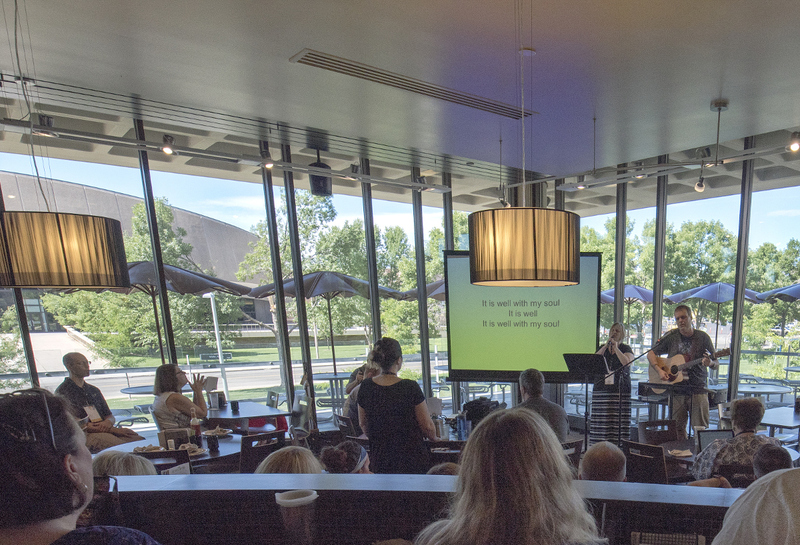 Worshiping our great God together keeps us focused on why we’re here – to equip our staff to take the gospel to the world! 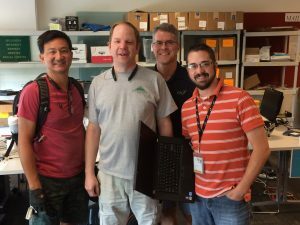 Many of our staff have just completed two weeks of Bible and/or leadership classes, and others have just arrived for the final 2 weeks of classes. 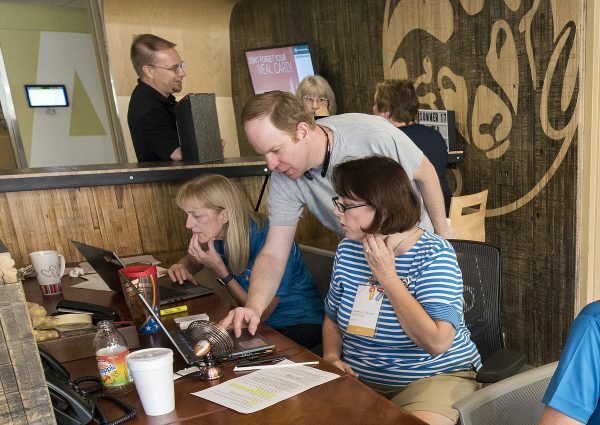 My team is now beginning to plan how we’ll get Internet connections to all the places that will be set up for the all-staff conference at the end of the summer: coffee house tent, staff help tent, partnership tents, and the Moby arena for large group meetings. We will also be welcoming 3 more members to the team to help us with everyone’s tech needs. Please pray that we stay healthy and serve well! This entry was posted in Prayer Letters on July 1, 2017 by Karl.